Indeed, you have incredible skills, Miss Ludens, but could you please bring me my cough drops when you finish that? 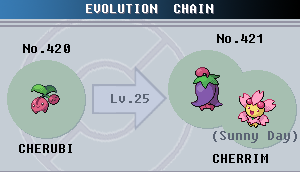 Cherubi evolves into Cherrim starting at level 25. 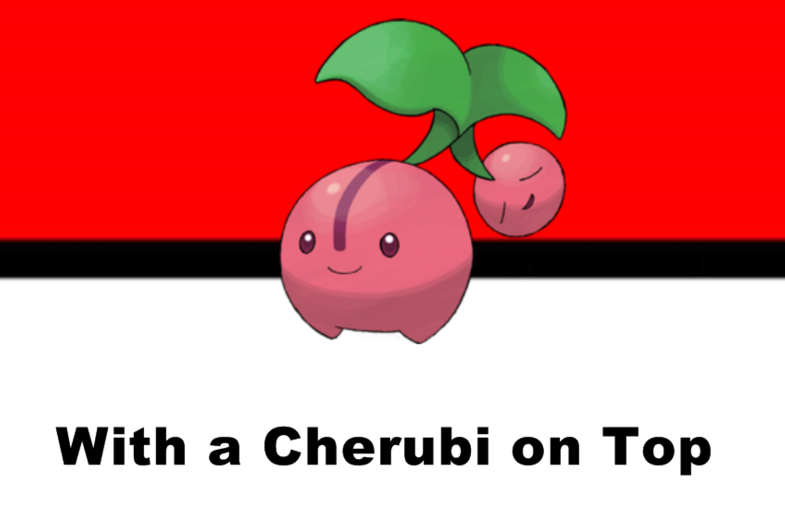 Cherrim (in Japanese: チェリム “Cherrim”) remains a GRASS-type. 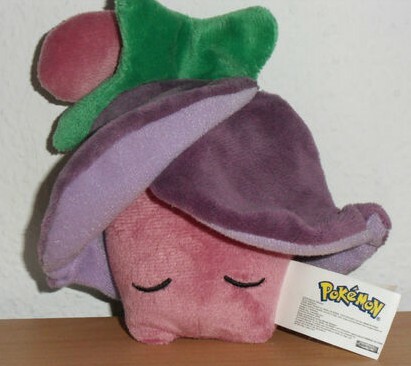 Cherrim It is known “the Blossom” Pokémon – it changes its appearance in sunny weather. “Cherrim is a small Pokémon with two different forms, both of which are dependent on the weather. During normal weather conditions, Cherrim is in its Overcast Form. Two purple petals enclose its deep pink body. A short purple stem and a green leafy sepal sprout from the top of the petals. Its eyes appear to be near its short legs in this form. When there is strong sunlight, Cherrim is in its Sunshine Form. Everyday is a “Sunny Day” with you, my dear cherry girl! Pink petals similar to cherry blossoms surround its head and cover its chest. Several of the petals radiate outward from a yellow sphere on the back of its head. There is a small, triangular patch of green on its neck. Additionally, two berry-like orbs, resembling cherry-shaped hair ornaments, adorn its head. It has stubby limbs, with the arms being pink and the legs being yellow. 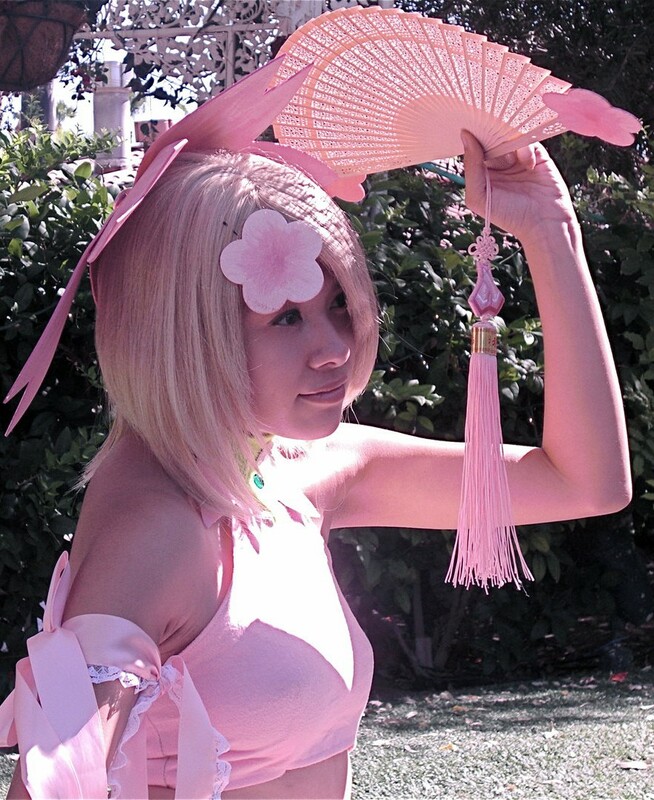 Obviously a nickname for female Cherrubi/Cherrim would be “Sakura” – Japanese for Cherry Blossoms. AUHHH … (Denny sighs) … Oh, my lovely daughter Sakura Miyawaki …she has grown up so fast these past few months …. Ok, I digressed. Yes, you look amazing in your “Sunshine Form” Sakura-tan! Oh, right — good nicknames you search for: I think that “Maraschino” is a great name for males, as in Maraschino cherries. “Cherry-on-Top” could be used. How about “Wild Cherry” or “Wild Bill” as possible names? “Cherry Coke” may be good, but watch out for that company’s lawyers. I have named them “Ludens” or “Miss Ludens” after the famous “Wild Cherry” flavor cough drops. (I could really use one writing this just now.) Since Cherrim is two cherries, males could be named “Smith Broths.” – after the other major brand of cough drops. “WhiteHouse” is also one of my suggestions, based on the ice cream. 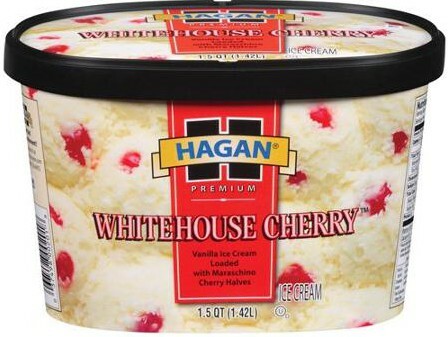 The WhiteHouse ice cream flavor is white vanilla ice cream with red cherries. 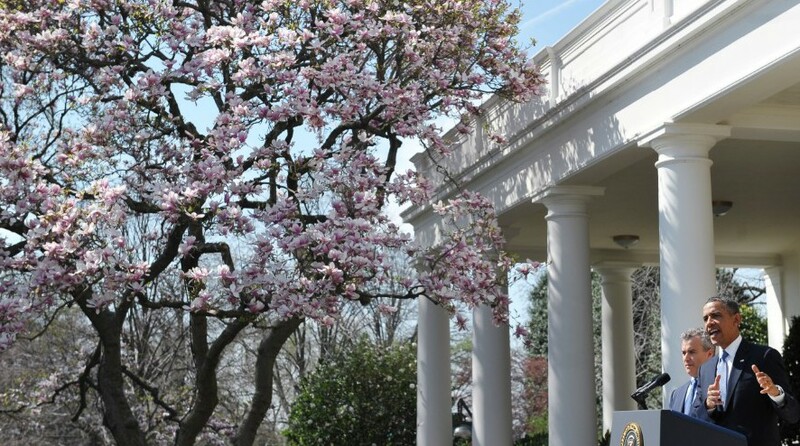 The reason it is called “WhiteHouse” is because of the Cherry Blossom trees which characterize Washington DC. The white ice cream is the same shade of white as governmental buildings such as the Lincoln Memorial or the White House. When the going gets tough … go out for ice cream! It may be a stretch, but I have also named male Cherrum “FrankieValli” hoping someone would see the connection. Can you get hepatitis from sharing Keith Richards’ mp3s? 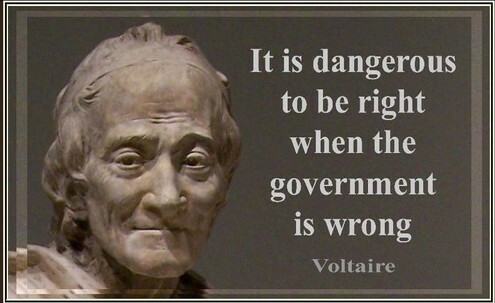 I will indeed admit it when I am wrong. 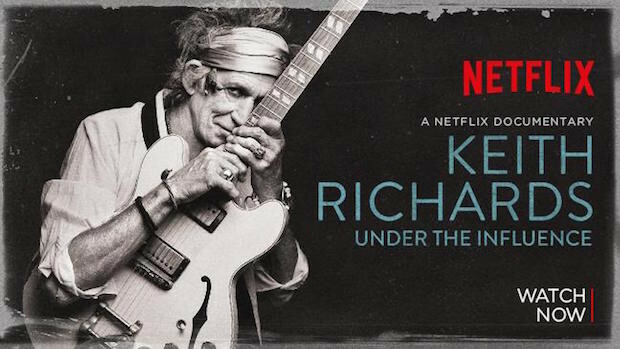 I watched the new Keith Richards documentary “Under The Influence” on Netflix streaming a few weeks ago. I went in with very low expectations, and I expected it to be crap. WOW, WAS I EVER WRONG!!! I LOVED it. I was a Rolling Stones fan in the 1970s like all my friends were, but I was never super crazy about them. I was more of a Zeppelin/Who fan. Although I was a 70s rocker, I don’t get into it anymore … now that I have turned my life over to the Idols. So, I thought I was going to have a laugh-fest making fun of an out-of-touch, burned out, rich, arrogant old wanker. Now I am feeling guilty about that. Mr. Richards showed himself to be a great artist worthy of my (and your) respect. He has aged, but that has only added to his deep, historic perspectives on rock-and-roll music. The documentary is a treat for an amateur music historian (that’s me). Mr. Richards is a MASTER of music history. The documentary shows his love and respect for the roots-music of American Rock-and-Roll, Blues, Country, Rockabilly and Folk. He plays several examples, and as he does it, he does so with loving affection to the genres. He is warm, charming, smart, very genuine and funny. I loved all the stories of the early Rolling Stones tours in the US during the 1960s. He got to meet and play with many of his blues heroes such as Buddy Guy, Muddy Waters, Chuck Berry Bo Diddley and many others. Mr. Richards describes the great influence these musicians had on him. There was a time in the 1960s when the Stones described themselves as “Rhythm and Blues” band. There are many great moments when he pays his respects to the landscapes of American culture. I also liked what he had to say about topics like English folk music being an influence on early American Blues and Rock-and-Roll — as well as Country. Thus “Under The Influence” is surprisingly … less about DRUG influence and more about MUSICAL influences. 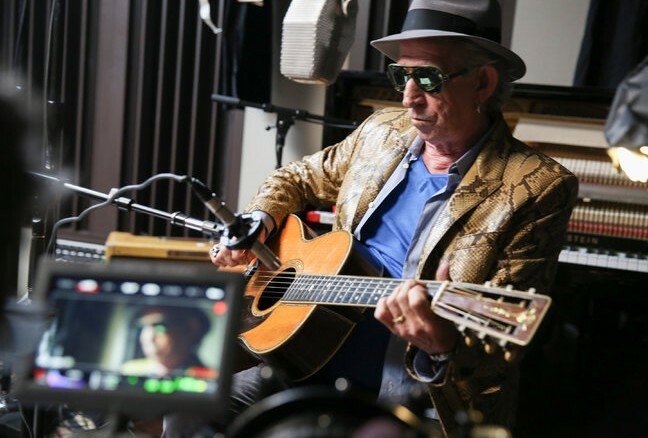 When Keith Richards plays or talks about American jazz, blues and folk, he does so with great LOVE. I respected that. Other musicians such as Tom Waits and Paul Williams also are interviewed, and they discuss their admiration for Mr. Richard’s accomplishments. He still plays with a band. He can still play that guitar. There is a reason why he is a rock god. 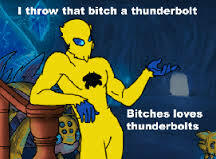 His voice is a little aged, but he can still do it. He can still play, he can still write, and he can still experiment. I mean musically. Of course the subject of his drug and alcohol use come up when other musicians recount a number of stories. Basically, Keith drank and smoked everyone (and everything) under the table. He even discusses that at one point. He admits that many fans and non-fans have the image of him as drug addled. Of course that subject needs to be discussed: Mr. Richards has proven that he is a SURVIVOR. True he pretty much merged his body with drugs and alcohol. He also chain-smokes during the entire documentary. You see, drugs did not KILL Keith Richards. He made it through the 60s, 70s, etc. without dying, and that is an accomplishment in itself. I did notice that they did not mention his hard needle-drugs period. I guess that is understandable. It is one thing to portray the rock legend as a party animal – that is cool. But to show his heroin and needle-sharing period would have been in bad taste. Can you spot the ones which are mummies, and those that are Keith? I am left with this music history question however: Could he have even been a better musician/composer had he not done drugs? What could he have done with his musical life if he had not been stoned much of the time? Mr. Keith Richards, I SALUTE YOU SIR! Denny highly recommends this gem of a music documentary. Starlight: I am old enough to remember Rolling Stones singles on my AM transistor radio. 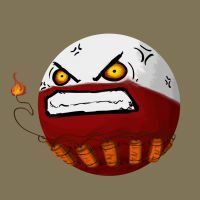 I will admit, I often forget if Voltorb is red on the top and white on the bottom, or the other way around. I think that the PERFECT nickname for this Pokémon would be “Cyrkle” or “The Cyrkle”. This pop trio had a great pop hit in 1966 called “Red Rubber Ball”. Here is the music video of The Cyrkle. Sorry for the low volume on the first one. This particular YouTube post was apparently designed for the hearing impaired. It does have the lyrics subtitled in a large, easy-to-read font. This makes it easier to sing along with … at least for those of us who remember the single. Note the “red rubber balls” in the back ground set. Could these really be Voltorbs in disguise? You know … similar to how they hide themselves in buildings, such as the Team Rocket hideout? You think it is a Pokéball ,or an item to pick up, then ZAP — you have to battle the electric balls! This is a much better sounding YT vid. This does better justice to this proto-power-pop song. “Red Rubber Ball” was written by legendary singer-songwriter Paul Simon (of Simon and Garfunkel fame). I think it is a well-crafted, perhaps almost “textbook” mid-sixties song. It clocks in at two minutes twenty — leaves you with the hook, and you want to play it again! Although I was just a larva in 1966, I loved listening to my transistor radio under the bedcovers at night. AM radio-pop songs were great at that time. I think that the song composition style of mid-1960s music is the template for everything I would like later. Check out these lyrics from RRB: “The roller-coaster ride we took is nearly at an end – I bought my ticket with my tears, that’s all I’m gonna spend”. Paul Simon and Art Garfunkel only performed the song as a “novelty” song at just a few live performances. You can listen to that Simon and Garfunkel version linked here. Pretty cool stuff for we pop music historians! 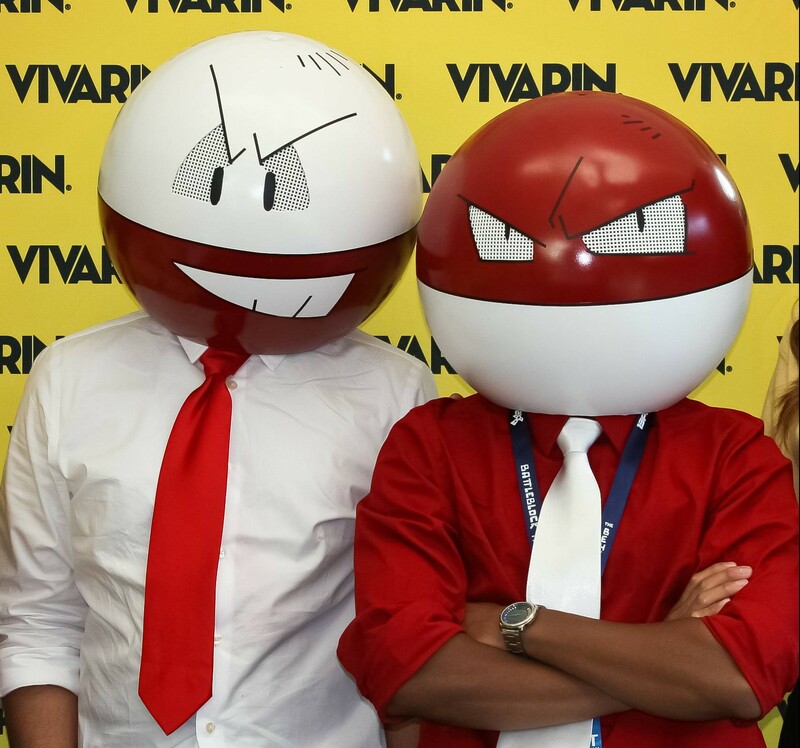 “Voltaire” is a literary reference for any sophisticated Voltorb trainers. 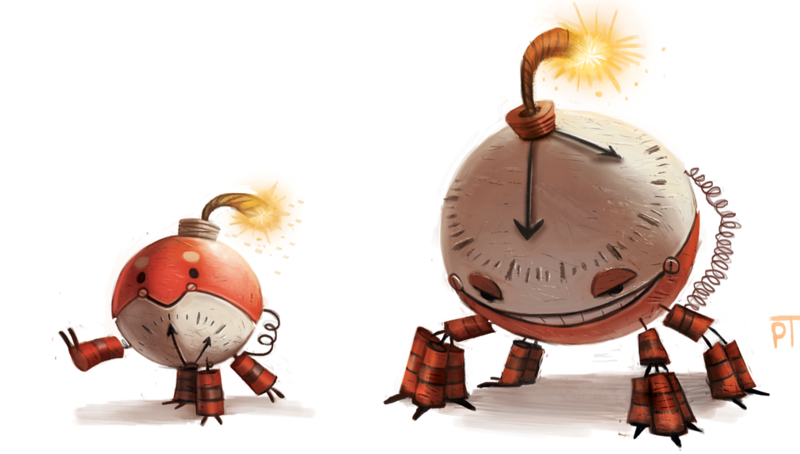 “Da Bomb” “BOOOOM” or “Ka-Boom” and the like are common, as Voltorb may use moves such as Explosion and Self-Destruct. Some players have named Voltorb after terrorists/suicide bombers — because they blow themselves up. “Thunderball”, or “Oddball” may be good. 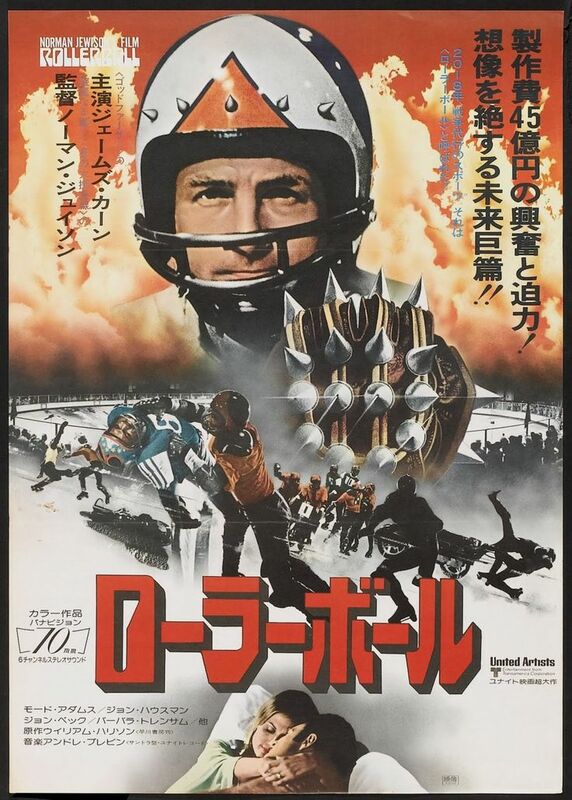 How about “RollerBall” as in the classic1975 sci-fi film? Pretty cool metal ball! Regarding the “balls” names: If you want, add an “s” or “z” to the end as in “Lectro-Ballz”. 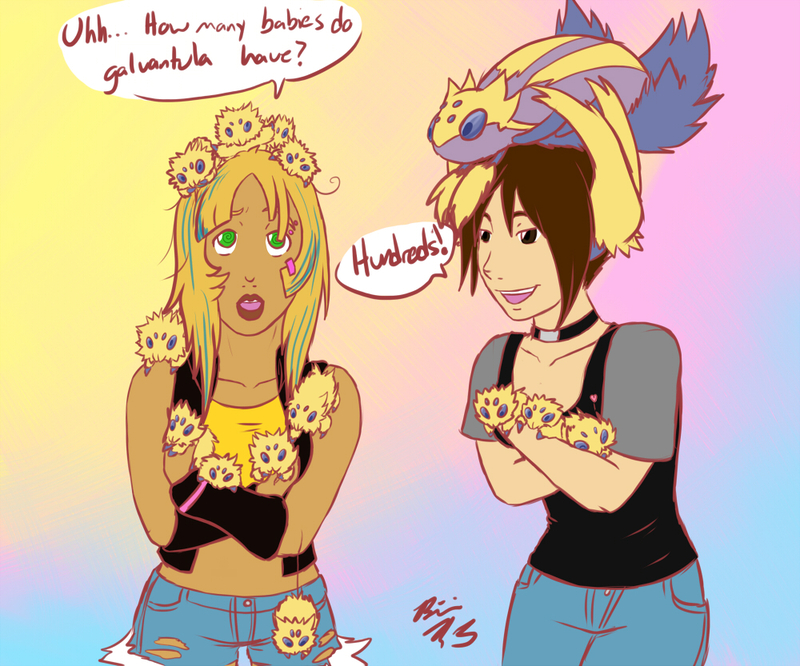 Other names for electric types such as “Shocker” or some variant would be OK. I might suggest the name “Shockey” as in the former NFL tight-end Jeremy Shockey. Electrode has no Mega-Evolved form. If someday there is one, I hope that it will be a Steel and Electric dual type, and look something like the RollerBall in the movie poster. What do you name your electric balls of steel? Please comment.